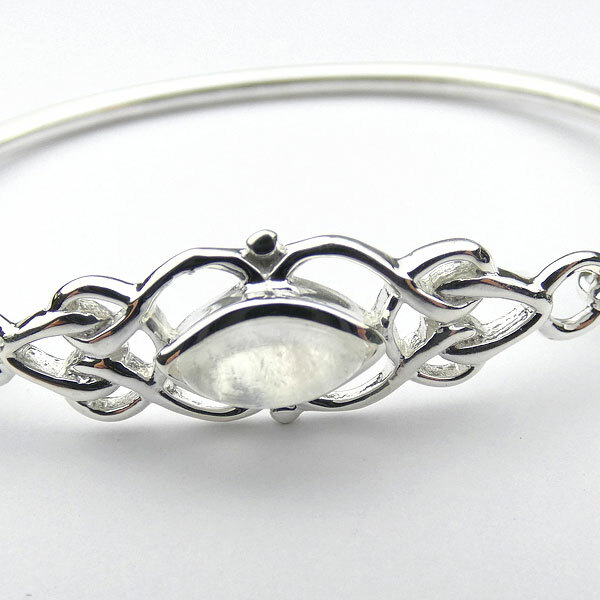 An attractive silver bracelet with a celtic design encircling a lovely rainbow moonstone. 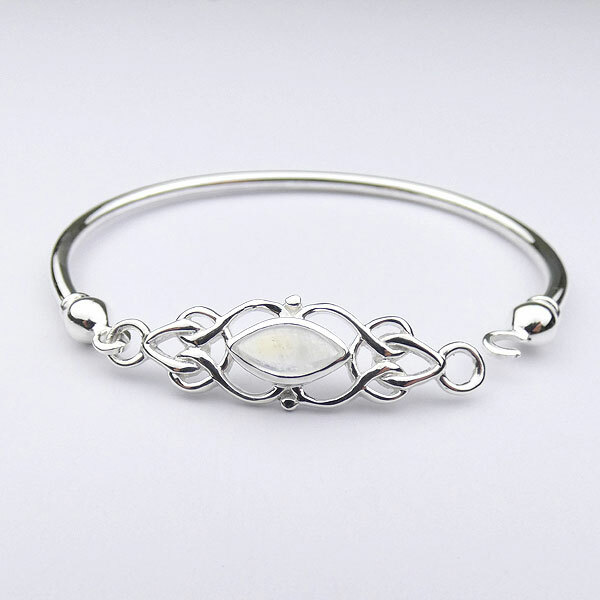 The bracelet is composed of a circular sterling silver bangle finished with silver balls from which the large decorative clasp in a celtic design interweaves around a rainbow moonstone. A similar style, but slightly smaller, bracelet is available set with a purple amethyst. 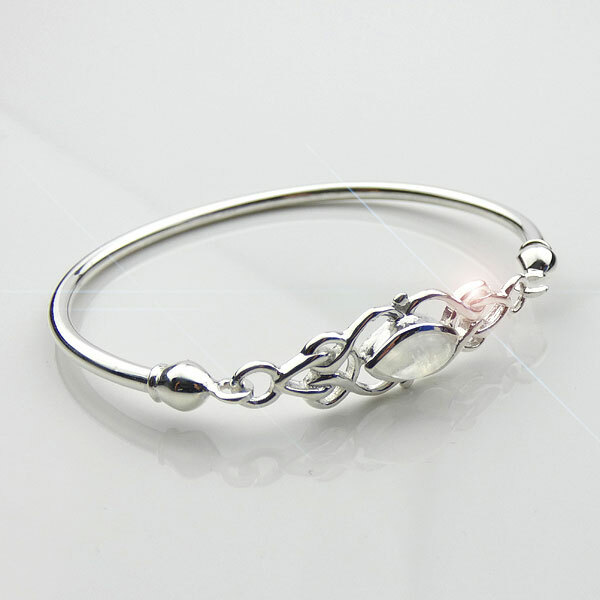 Width of bracelet: 12 mm.